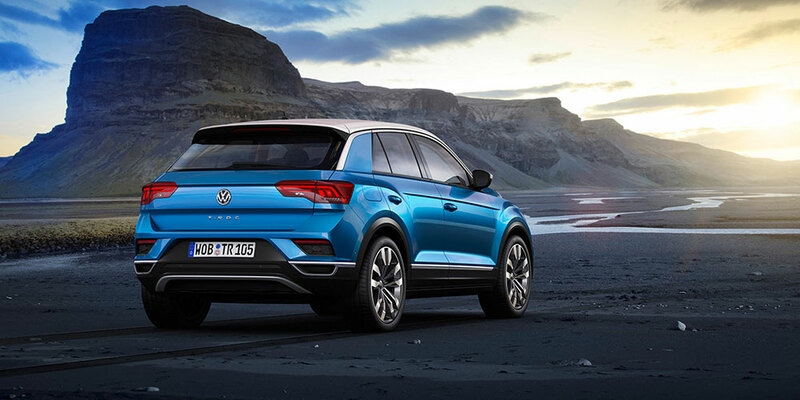 Volkswagen’s SUV sibling to the Touareg and Tiguan is being released in the first half of 2020. 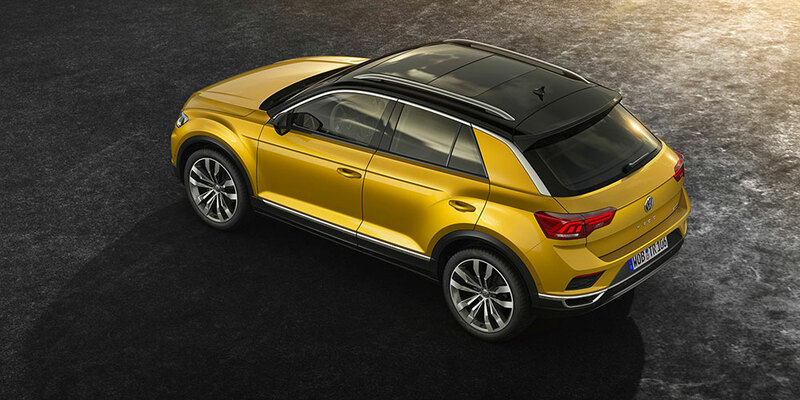 The T-Roc compact SUV will be reaching Australian shores in late 2018, taking the fight to the Mazda CX-3 and Honda HR-V. 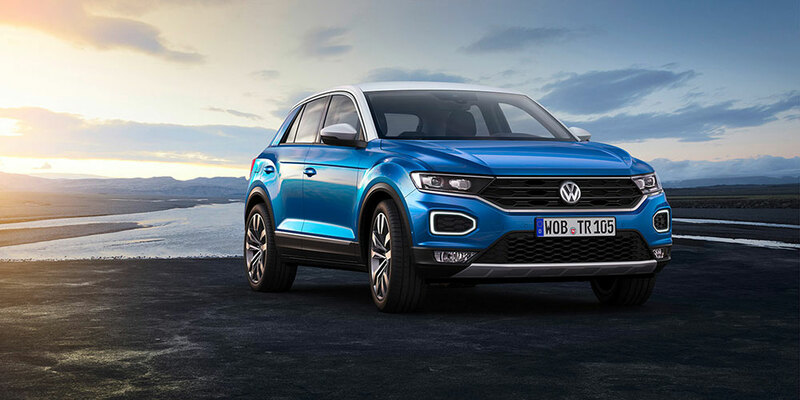 Picking up Volkswagen’s updated exterior styling, there’s no denying this is a handsome SUV with just enough features and character lines to look bang up date and stand it apart from the crowd without going overboard. Cutting edge with European class and presence – something the two Japanese rivals haven’t managed to tie down just yet. On the inside, much is borrowed from the new Volkswagen Polo, itself arriving imminently. The optional 12.3 inch Active Info digital drivers display which takes over the traditional speedo/tacho/gauge cluster is the main surprise and delight feature, offering a great rage of customisable information right in front of you such as your sat nav or entertainment options, leaving the secondary central screen available for other features such as reversing cameras or other vehicle settings. Also featuring in the interior is the option of bright interior trim to match the exterior paint coour, along with matching seat trim, thoroughly brightening up the interior and setting it apart from the competition. Although compact in exterior dimensions, Volkswagen are claiming an impressive luggage space of 445 litres, growing to 1290 litres with the rear seats folded flat. Volkswagen will also offer an extensive selection of active safety and driver assistance systems on the entry level SUV including city speed autonomous emergency braking, pedestrian detection, post collision braking, and lane keep assist. Option equipment is expected to range to adaptive cruise control, blind spot monitoring with rear cross traffic alert, park assist and traffic jam assist. Three standard trim levels are expected including the entry level model plus a sport model and a style model. Three turbocharged petrol engines and three turbo-diesel options are on the table, specifically which make it to Australia have not yet been confirmed although expect to see the mid and higher spec engines here. We Australian’s tend to like higher powered models. Front wheel drive will be the standard option with 4Motion all-wheel-drive also being available, as well as DSG transmissions being offered ove rthe standard manual specification. 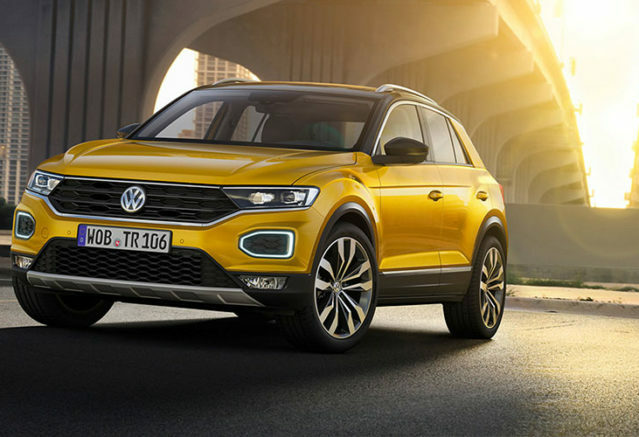 There is also a possiblility of a sporty R line package similar to that offered on the Tiguan or even a full blown R model similar to that of the Volkswagen Golf R.
Watch this space for more information on the new Volkswagen T-Roc as it comes to us.